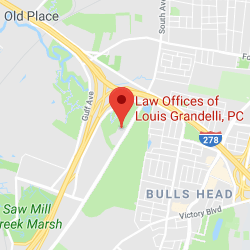 Explosion Lawyers | Law Offices of Louis Grandelli, P.C. 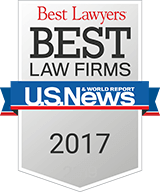 Our explosion lawyers won a record-setting $9 million dollar settlement in the state of New York. Explosions do not occur as frequently as some other accidents such as head-on car accidents, but when an explosion occurs the results can be devastating to the victim and family of the victim. These incidents can result in severe injuries, including disfigurement, loss of limbs and sometimes loss of life. Often times, these incidents are caused by human error and are preventable. It is very important in such a case to immediately investigate the accident to determine the cause and origin of the explosion. All reports from the fire department, the police department, building department or any other agency which investigates the incident should be promptly gathered. It is also important that the attorneys you retain conduct their own independent investigation and retain the necessary experts to investigate the explosion and determine whether it was preventable. If the explosion was caused by a leak of combustible gas, a qualified expert should be able to determine the cause and origin of the explosion and provide expert evidence against the responsible party to establish their liability. Moreover, due to the antiquated nature of many of the conduits, pipes and other equipment in New York City’s electrical and gas systems, the equipment is often deteriorated due to wear and tear and may pose the risk of electrical “arching” or a leak of combustible gas. 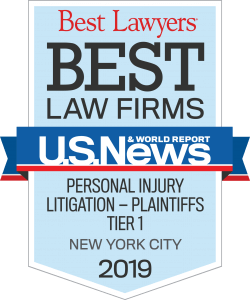 Several years ago, our explosion lawyers recovered a record setting recovery for a construction worker injured in an explosion of a New York City manhole cover resulting in severe fractures to his legs permanently impairing his ability to walk normally. In the end, we successfully established liability on a majority of the defendants resulting in a settlement, part of which was structured, and is expected to yield the injured worker and his wife a payout of approximately $20 million dollars. This is believed to be the highest reported recovery for personal injuries by a victim of a manhole explosion in the United States. This was an extremely complex case and we had to sue numerous entities who we felt were responsible for this explosion and our office was opposed by 12 law firms. This case involved complicated liability and damages issues and in order to establish the defendant’s culpability and maximize our clients’ recovery, we retained the top experts in the fields of science and construction safety. We also conducted over 20 depositions of the defendants to gather the necessary evidence which revealed that the explosion was due to a “perfect storm” of combustible gases that were ignited by defective electrical wiring which were negligently allowed to come into contact with each other as a result of the defendant’s failure to properly seal conduits between the 2 manholes. Despite the extraordinary complexity of this case, our explosion lawyers were able to resolve the case in just 3 years. Since the injuries and economic costs in cases involving explosions are often catastrophic, it is very important that the attorney you retain have the experience to not only establish the liability of the responsible party, but also to maximize your damages and hire the necessary experts so that you are fully compensated for your injuries. 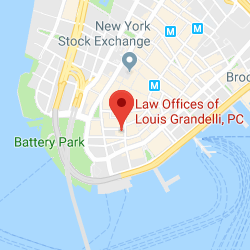 If you or a loved one have been injured in an explosion, please contact our explosion lawyers to discuss your case 212-668-8400.